Beatport has revealed a new Beatport remix contest for 2010. 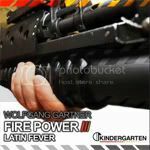 The guest artist is Wolfgang Gartner and the track to be remixed is “Latin Fever“, a dancefloor killer track released on Kindergarten Records! If you want to remix one of the most talented producer nowadays, join now! Electro house superstar Wolfgang Gartner, the man behind eight Beatport No.1s including Beatport’s most downloaded single of 2009 ‘Wolfgang’s 5th Symphony’, is offering aspiring producers the chance to put their own spin on his 2009 hit ‘Latin Fever’. As usual, the Beatport and Beatportal community will have the chance to vote for the best submitted remixes by ‘spinning’ their favorites. The winning remix will be released on Wolfgang Gartner’s label, Kindergarten. From February 16th, 2010, Beatport users are able to download the remix parts of Wolfgang Gartner’s ‘Latin Fever’, and then remix it, before uploading it to Beatportal for the voting round. The winners will be divided into 2 categories; 10 user voted (based on the highest number of spins) and 10 editor’s favorites (picked by Beatport’s internal music staff). From these 20 nominees, Wolfgang Gartner will choose his favorite winning remix, to be released on his label Kindergarten. The winner will also receive a $200 Beatport gift card. 1. February 16th — March 8th: Download phase — The remix parts of ‘Latin Fever’ for $3.99 USD. 2. February 23rd — March 8th: Upload/Submission phase — Upload your remix to Beatportal to www.beatportal.com/remix. During this phase the entries can be listened to, but not voted for. 3. March 9th — March 23nd: Voting phase — The public votes for their favorite remixes by ‘spinning’ them. After a period of deliberation, the winner will be announced on or around April 6th, 2010.